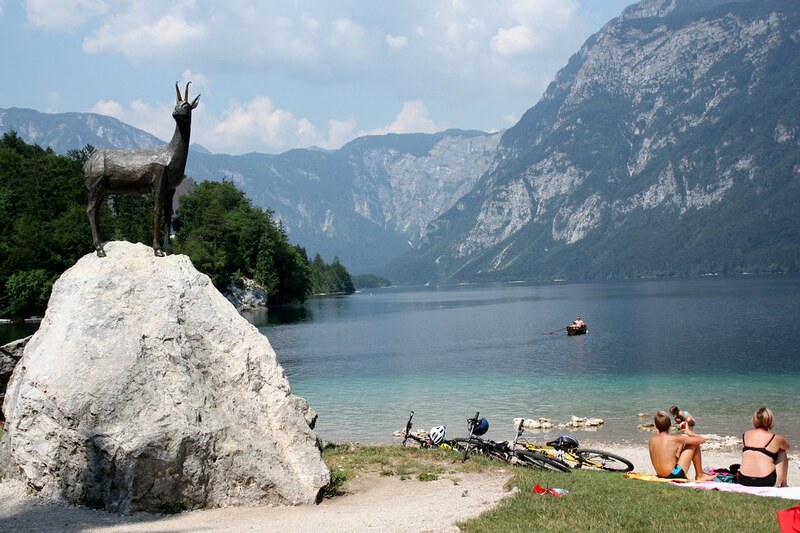 Lake Bohinj, nestled in Triglav National Park in the Julian Alps, is crystal clear and a fabulous location to spend a hot summer day. 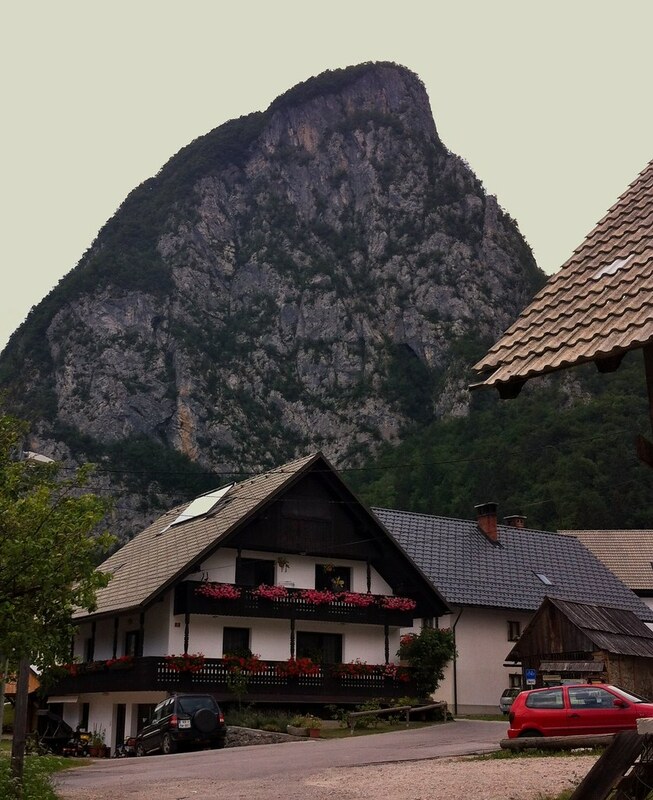 Surrounding the lake are quaint villages, many churches, the mountain peaks, forests, waterfalls and gorges. Hiking and rowing are popular but it was too hot for me to partake in any strenuous activities. It was July and the temperatures hovered around 36°C (over 96°F). Despite the crowds, we were able to enjoy a few times when we were alone by the lakeshore and the only ones in the church. 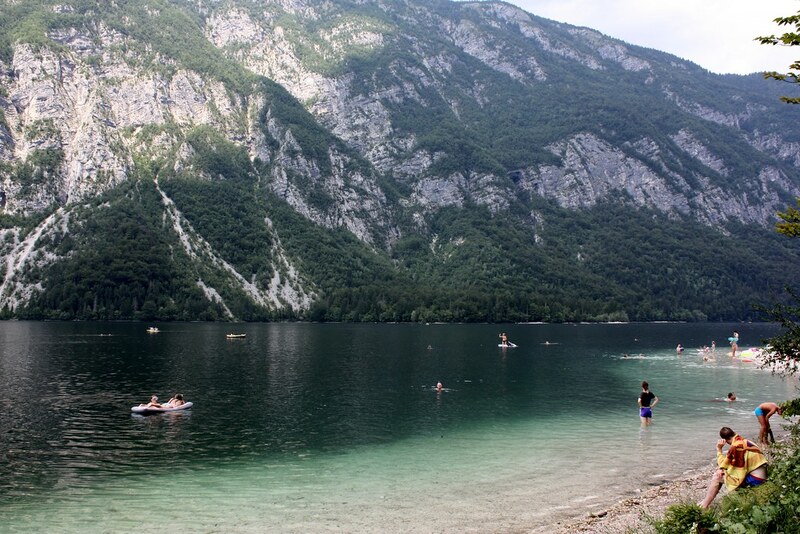 The waters of Lake Bohinj felt so refreshing on a scorching summer day. Great place to take out a kayak or canoe. The only tour boats allowed on the lake are electric so it’s very quiet. Slovenia has a lot of legends and I particularly like the one about Zlatorog (which means Golden horned). The Golden horned goat lived in Mount Triglav, and attended by three virgins, he guarded a vast treasure at the mountaintop. Many men attempted to kill Zlatorog and steal the treasure. One such greedy hunter was able to shoot the goat which caused his blood to run for miles ~ carving out the mountains and lakes surrounding Triglav. At the scene of the crime, the world’s first edelweiss flower sprouted. When Zlatorog ate the blossom, his life was restored. He ran toward the hunter, who was blinded by the sunlight reflecting off the goat’s golden horns. The hunter lost his balance and fell off the mountain to his death. The symbol of the Golden Horned Goat represents a warning against greed. The goat guards the lake… Gothic styled St John the Baptist Church sits on the eastern bank of Lake Bohinj. 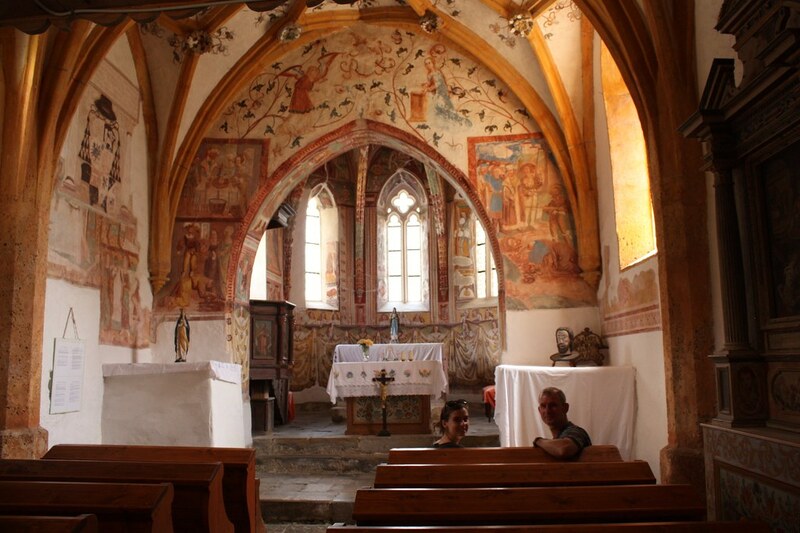 It dates to the 15th century (first recorded mention of it was in 1464) but it is thought to be older. The beautiful bell tower was added in the 1700s. 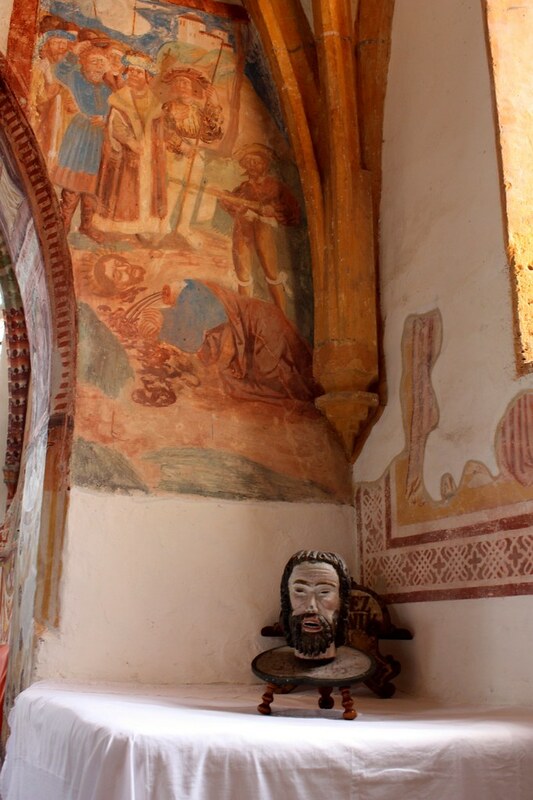 There are beautiful frescos inside St John the Baptist Church but the church also had some rather morbid looking paintings and displays: Head of John the Baptist. I realize it’s an accurate depiction but who wants to stare at a head all through church service. 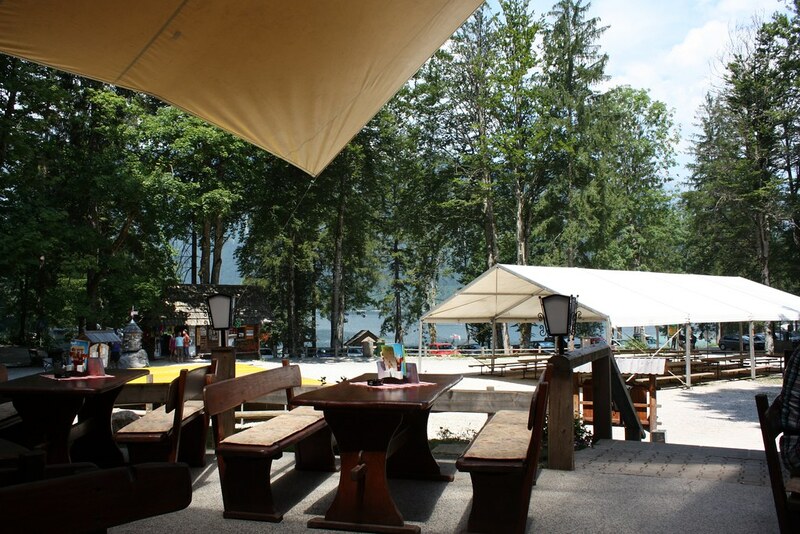 A restaurant near the lake. Don’t remember the name ~ they served pizza, beer and the likes. Mrcina Ranch. We wanted to get out into the backcountry on horseback but it was too hot for the horses. The ranch has the cutest Icelandic horses but also has other larger horses as well. It’s definitely on our “to do” list for next time. Just been there too, loved the lake!! Yeah! 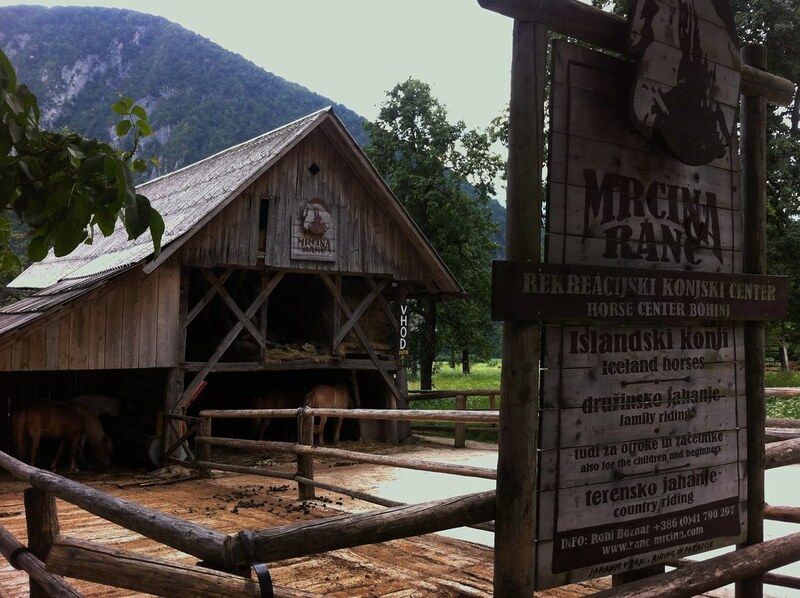 We loved lake Bohinj! Slovenia is such a gem. Great photos. Thanks ~ glad you like the photos. 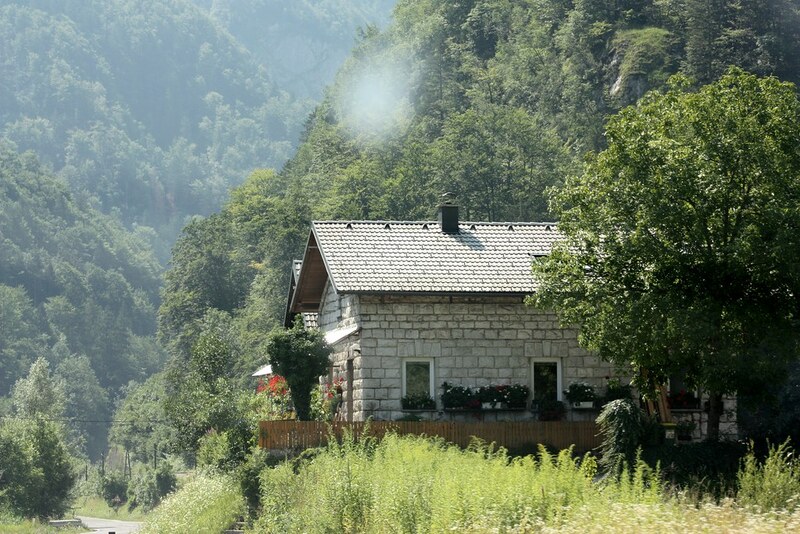 Wish I’d had a few more days to explore Bohinj. Great post, loved the legend of the goat. But 96 degrees?! Yikes. Lucky you were at that lake, looks like a lovely spot. This is beautiful and I would not have known about it–It reminds me of the Italian lake district. 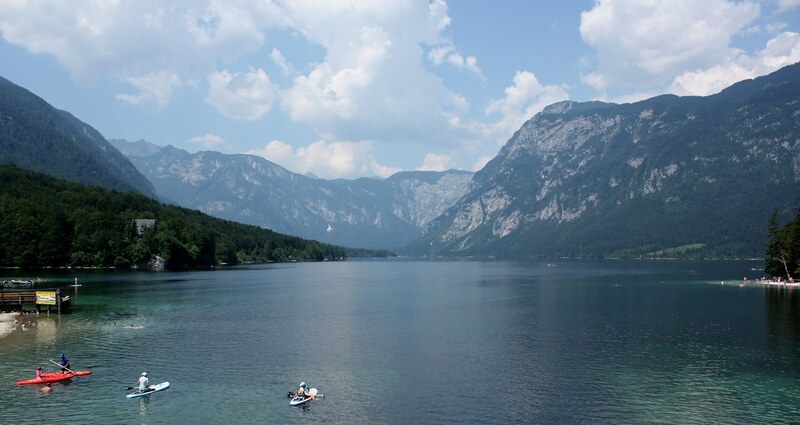 Lake Bohinj is so beautiful! I wish I was back there now. Looks like a very lovely spot to relax and refresh from the heat. I love the legend of the golden horned goat! Thanks for sharing. Iwant to pick up and go to Solvenia tomorrow,but you also remind me why we mostly travel in spring and fall — the heat.